Antivirus Protection | How it Secures Devices from Virus Threats? 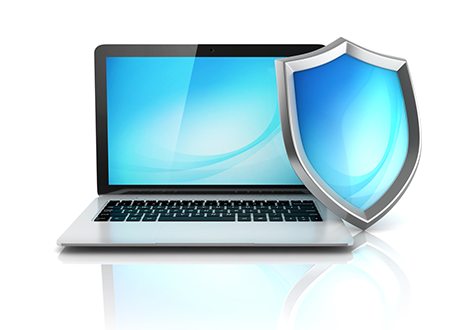 Why You Need Antivirus Protection? PC users (along with users of other mobile devices) these days cannot survive without antivirus protection. Virus, ransomware and other types of malware, and most importantly, the zero-day threat strike the digital world at regular intervals. And without Antivirus protection, your PC can get affected by one of these easily – if it is not protected using the right security software like antivirus. Keeps Your PC(s) Secure Against Security Threats: Antivirus software typically scans your operating systems for malware (which includes viruses too) and prevents them from taking any adverse action. In other words, defends your PC(s) against various security attacks. Of course, there are more sophisticated security software available in the IT security market these days, but all of them include antivirus protection. This just goes to show how important antivirus software is. Prevent Data And Identity Theft: Obviously, your PC(s) will contain sensitive data and your online identity details. Both of which, if they fall into the wrong hands, can ruin your life. And antivirus software, by securing your PC(s) against security threats, also secure your data and identity as well. Another advantage of using antivirus software. Keep Your Children Safe Online: Unfortunately, the internet is a very dark place, which can lead young innocent ones, surfing online towards pornographic websites. Having antivirus software which usually comes equipped with parental controls will prevent such mishaps from occurring. Guards Your PC 24/7: Antivirus(es) regularly monitor your PC(s) for malicious software and defend your PC(s) against them through constant scanning of different types. And PC users will be alerted to of any malicious activity so that they can take the appropriate action. The Last Line Of Defense: Antivirus will serve as the last line of defense when everything else fails. For this reason, antivirus serves as the central technology for different types of security software. Simply put, when everything else fails, antivirus can act as the last line of defense for your PC. Antivirus protection is a must. Without this, your PC gets exposed to various types of security threats. Virus, malware, ransomware, trojans to name a few. And not to forget the zero-day threats. Therefore install antivirus and protect your PC's security from being compromised. Comodo Antivirus, which comes equipped with impressive security features, is easily one of the best antivirus packages in the IT security industry. Security features like Containment, HIPS (Host Intrusion Prevention System), Viruscope amongst others, ensure your PC(s) stay protected not just against different types of malware threats but against zero-day threats as well.